Thanks to Big Yellow Storage for providing us with all our storage needs. 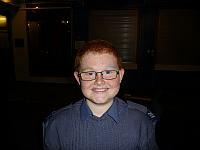 Corporal is the first Cadet NCO rank. A cadet holding the rank of Corporal can be referred to as a Junior NCO (JNCO), and acts as the liaison between the Cadets and the NCOs. Any cadet who is 1st Class or above is eligible to be an NCO. The promotion to Corporal is made by individual Squadron Commanding Officers, and selection is based purely on merit and leadership potential. The rank slide for a Corporal consists of two silver downward chevrons. Sergeant is the first Senior NCO (SNCO) rank. The rank slide for this rank consists of three silver downwards chevrons. Again, promotion to this rank is made by the Squadron Commanding Officer. In a relatively big Squadron, a Sergeant might be expected to be second in charge (2IC) of a Flight (subsection of a large squadron). This is the highest rank appointment that can be made by a Squadron Commanding Officer. The rank slide for a Flt/Sgt is similar to that of Sergeant (see above), but has a silver crown above it. In any Squadron which is split up into flights, a Flt/Sgt would be expected to be in charge (IC) of one flight. Promotion to CWO made by a Wing Commanding Officer after recommendation by the Squadron Commanding officer. Each Wing has its own allocation of how many CWOs they may have. The rank slide for CWO consists of a silver crown, surrounded by laurel branches (branches similar to the UN crest). In order to be a CWO you must be over the age of 18 and be a Senior Cadet. A CWO is not normally in charge of a flight, but instead takes charge of all the flights in a squadron.